Thousands have gathered in the city of Donetsk, picketing the Security Council building. 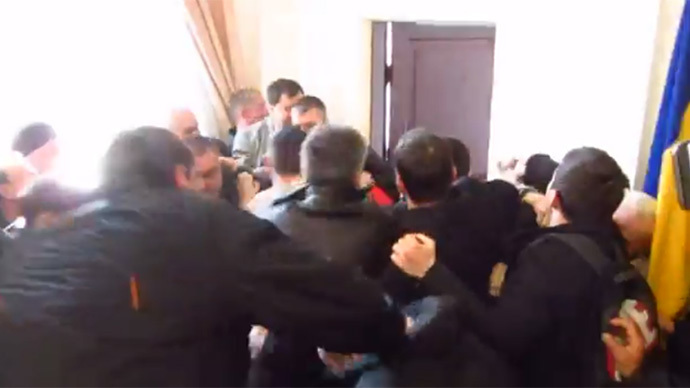 The protesters called for the current Kiev authorities to release the local governor and pro-Russian activists detained earlier, threatening to storm the building. The protesters blocked the Security Council building trying to break the doors and smashing windows on Saturday afternoon. Activists removed the Ukrainian flag from the top of the building, hoisting a Russian tricolor. The protesters were demanding the release of local governor Pavel Gubarev and 70 pro-Russian activists previously detained by the current Kiev authorities. They also urged local law enforcement to take their side. The local head of the Security Council has promised the protesters to release the activists and Gubarev, according to Life news. He then reportedly escaped through the back door of the building. 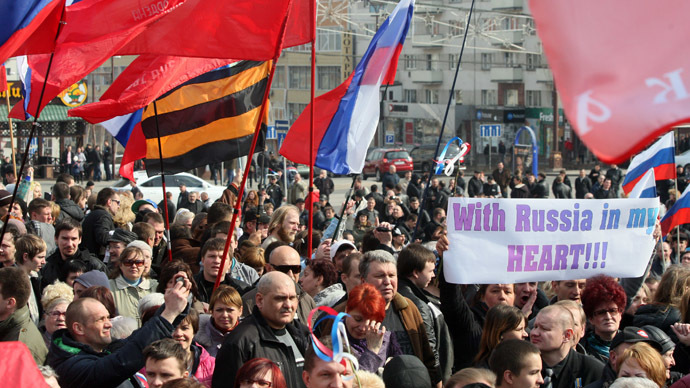 Initially the rally in support of the Crimea referendum was to be held at the city’s main square. However the protesters marched from the square to the Security Council building picketing in front of it. 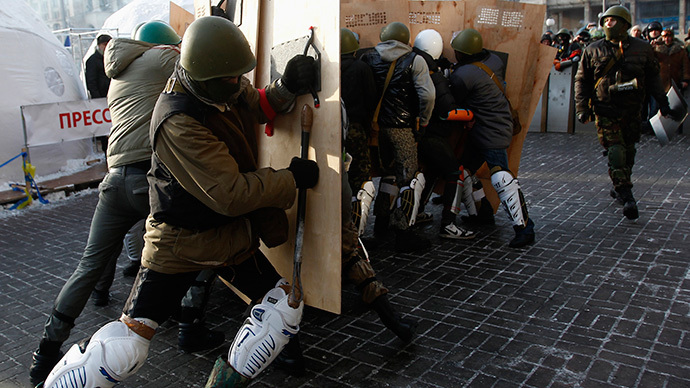 Earlier this week bloody clashes in the city of Donetsk ended with a murder and multiple casualties. 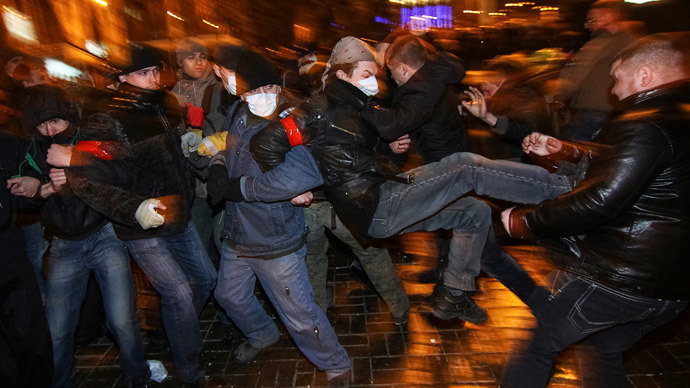 On Thursday, far-right extremists attacked a peaceful demonstration protesting “the destructive position of the people calling themselves the Ukrainian authorities,” Russia’s Foreign Ministry said in a statement.